iOSnoops is constantly on the lookout for great deals, and here are 24 iPhone and iPad apps that have just been discounted. 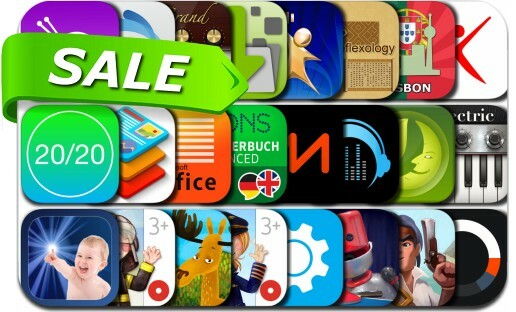 This app deal alert includes Braveland Pirate, Table Tennis Touch, Go Docs - Microsoft Office 365 Mobile Edition, Rizon - Your Golden Hour Companion, Stash2Go: Knitting App for Ravelry, GymGoal 2, eDl Pro, Moon Gardening, iLectric Piano, Design & Flyer Creator and many others. GoDocs is the most intuitive app for managing OneDrive. Always have your files at hand, whether text documents, presentations or spreadsheets. With full iPad integration, GoDocs is optimized to provide seamless access to all your Microsoft Documents.